Direct labeling of virus particles is a powerful tool for the visualization of virus-cell interaction events. However, this technique involves the chemical modification of viral proteins that affects viral biological properties. Here we describe an alternative approach of influenza virus labeling that utilizes Function-Spacer-Lipid (FSL) constructs that can be gently inserted into the virus membrane. We assessed whether labeling with fluorescent (fluo-Ad-DOPE) or biotin-labeled (biot-CMG2-DOPE) probes has any deleterious effect on influenza virus hemagglutinin (HA) receptor specificity, neuraminidase (NA) activity, or replicative ability in vitro. 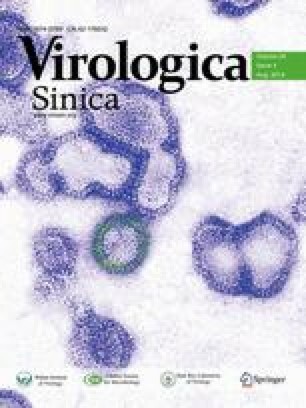 Our data clearly show that neither construct significantly affected influenza virus infectivity or viral affinity to sialyl receptors. Neither construct influenced the NA activities of the influenza viruses tested, except the A/Puerto Rico/8/34 (H1N1) strain. Our data indicate that lipid labeling provides a powerful tool to analyze influenza virus infection in vitro.